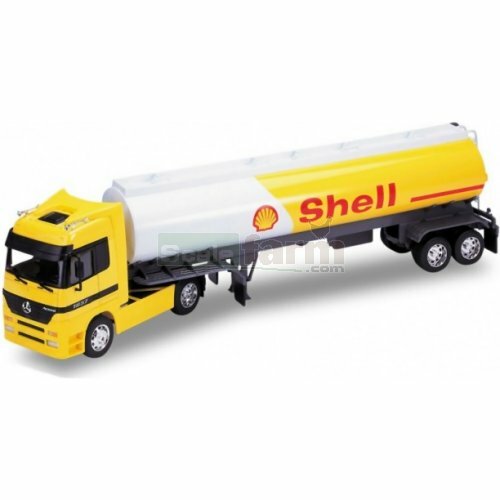 Die cast metal model Mercedes Benz Actros tanker with Shell branded tanker trailer. Cab with original decal and interior detail, rolling wheels with tyre tread, left hand drive model. Tanker with dual rear axle, hitch, stabiliser feet.